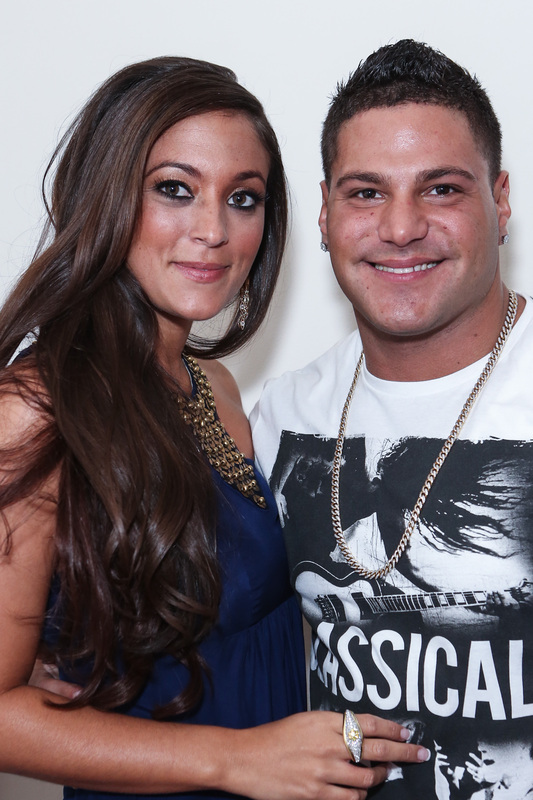 "Every man wishes that he can be with the love of his life"
Even though it’s been years since Ronnie Magro-Ortiz and Sammi “Sweetheart” Giancola ended their tumultuous relationship, the breakup is still clearly very fresh in their hearts. On a recent episode of Jersey Shore Family Vacation, Ronnie admitted to having feeling for his former girlfriend even as he was expecting a child — a baby girl named Ariana Sky — with another woman. Not only did the MTV reality star call his ex the “love of this life,” but he also revealed to the rest of the case that the reason he hasn’t married his baby mama yet was because of Sammi. It’s been years since Ronnie Ortiz-Magro and Sammi “Sweetheart” Giancola ended their tumultuous relationship, but the breakup is still very fresh for one of them. As evidence on the latest episode of Jersey Shore Family Vacation, Ron clearly has unresolved feelings for his former girlfriend despite having a baby with another woman. The 32-year-old made the shocking confession when he brought Antonia — a woman he met during a night out in Miami with the cast — home from the nightclub. After Mike “The Situation” Sorrentino called the move a “legendary bad decision” and Paul “DJ Pauly D” DelVecchio convinced Ron that “it was not worth it” to cheat on his then-pregnant girlfriend, Jen Harley, the famous fist-pumper sent the woman off on her way and broke down in front of his co-stars. At the time of filming, Ronnie’s girlfriend was seven months pregnant back in Las Vegas. The couple welcomed a baby girl named Ariana Sky on April 3. While the rest of his co-stars went to bed, Nicole “Snooki” Polizzi stayed up with Ron to chat about his relationship with his baby mama. There, the self-proclaimed guido admitted he doesn’t “trust” Jen.